Known for its depictions of personified “frolicking animals,” Choju Giga, a National Treasure, is Japan’s most famous set of illustrated scrolls. This exhibition provides a rare opportunity to view Choju Giga in its entirety by bringing together all four scrolls and five fragments, some of which are preserved outside of Japan. It will also introduce cultural properties from Kosan-ji Temple in Kyoto, where Choju Giga was passed down through the ages, as well as beliefs and artworks connected with the priest Myo’e (1173–1232), who revived this temple in the Kamakura period (1192–1333). *Objects will be rotated during the course of the exhibition period. Objects for which “on exhibit” dates are not specified will be on display for the full term of the exhibition. Kosan-ji Temple was revived by the priest Myo'e at the start of the Kamakura period and subsequently developed as a training center for monks. It also housed many beautiful artworks that have survived to the present day. These include many thematically-consistent hakubyo, or ink line paintings based on the teachings of esoteric Buddhism. These served as models for Buddhist paintings and also contributed to the rise of new schools of Buddhist thought and teaching. 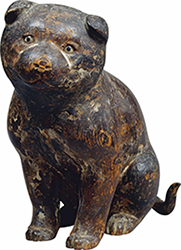 Another feature of Kosan-ji’s collection is a large number of charming animal statues. These are thought to have been made under the influence of Myo'e and were later used in rituals too. Kosan-ji served as a wellspring of new art and new ideas. It also collected and stored cultural assets from various genres and ensured they were handed down to later generations. As such, it has played an important role as a bastion of Buddhist culture. The life of the priest Myo'e, who revived Kosan-ji Temple, was peppered with many colorful episodes. Historical records attest to his strictness as an inquirer into the truth. 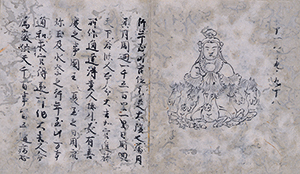 He developed his own philosophy that combined Kegon and esoteric Buddhism, for example. He also cut off his right ear to prove his dedication to truthseeking, while his yearning for Sakyamuni led him to plan a sea journey to India. At the same time, his humanity shone through in his manifold talents. He recorded his dreams throughout his life, for instance, and also composed a number of classical Japanese waka poems. This rich life was reflected in the numerous artworks that sprung up around Myo'e and Kosan-ji. With their powerful sense of individuality, these items have carved their own unique niche among the voluminous world of Japanese Buddhist art works. 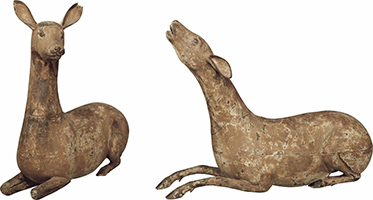 The National Treasure Choju Giga, or ‘Frolicking Animals’, is perhaps Japan’s most famous set of illustrated scrolls. Yet it is also a work shrouded in mystery. There is no text, so we don’t know why it was painted or what it is actually trying to depict. This exhibition displays all four volumes of Choju Giga following the completion of a fouryear conservation project that began in 2009. It also brings together several fragments, some of which are preserved outside Japan. As such, it provides a rare opportunity to view Choju Giga in its entirety. * Advance tickets will be on sale at the museum ticket booths (during museum opening hours excluding the last 30 minutes) and other major ticketing agencies from February 1 to April 27, 2015. * Special exhibition "Indian Buddhist Art from Indian Museum, Kolkata" (Tuesday, March 15 - Sunday, May 17, 2015, Hyokeikan) requires a separate admission fee. With the Special Sponsorship of Takashimaya Co.,Ltd. With the Sponsorship of KANEKA CORPORATION, MITSUI & CO., LTD., TOPPAN PRINTING CO., LTD.
With the Assistance of SHUEISHA Inc., BIC CAMERA INC.,Sumitomo Mitsui Banking Corporation, Aioi Nissay Dowa Insurance Co., Ltd.